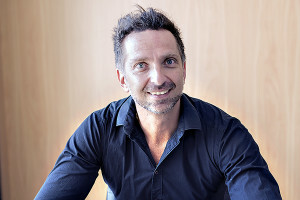 Romeo Caporaso is the Sole principal owner of Tax Accounting Adelaide. Tax Accounting Adelaide was formed on the happy date it was granted a tax agent License in 2011. It has grown from a one man band to a small staff team and from home office to commercial office. One thing is for sure about Tax Accounting Adelaide, running a small business like our own makes us familiar with the contemporary challenges businesses face like yours. We have over 15 years of commercial accounting and business banking experience, working with a vast variety of clients across many industries and non business clients too. I am a Tax agent under the new Tax practitioner legislation and maintain high professional standards through my professional accounting association with being a Fellow of the Institute of Public Accountants. We are not your typical accountants, with passion for small business marketing, internet business and business improvement. We see a bright future in saving your time and accounting fees in using online accounting software and virtual accounting solutions. Overcome your business Challenges today, phone us on 08 8337 4460 to come in and meet with us. I have been a member of a professional accounting body for over ten years. I am a current Fellow member of Institute of Public Accountants or IPA (formerly NIA). B.Com University of Adelaide majoring in Accounting and Marketing. Registered Tax Agent under the new the tax practitioners board/regime. Self employed accountant for since 2011. Registered Bas agent since 2008. My CV as an employee in commerce includes: Business Banker for CBA, Financial Accountant for RAA Insurance, Senior Accountant for Rossdale Homes; Financial Controller at Flotek Pty Ltd; Financial Controller at International Cleaning Services; ATO enquiries consultant; Business Consultant to The G Karidis Group; Fixed Asset Officer at Australian Rail Track Corporation. Find out more about Tax Accounting Adelaide and schedule a meeting.